Thank you for visiting the TBYC website. Whether you are new to sailing or a seasoned pro, a warm welcome is extended to all new members. TBYC is run by and for its members with the aim of promoting and facilitating amateur dinghy & yacht racing and boat sailing. The Club members run a number of sailing courses for all ages to help get you out on the water and start the fun. We have a number of club boats that can be used free of charge and with superb club house facilities, bar and restaurant TBYC is the premier Essex sailing venue. There is a great social scene at TBYC with many events throughout the year from regular themed nights to glitzy Summer and Christmas Balls. Families are very welcome! – there is a long tradition at TBYC of generations of the same family being actively involved. With one of the largest Cadet sections of any sailing club the children soon get the confidence to go sailing. So, how about joining TBYC. There a number of membership category’s to cater for singles, couples and families, sailors and non-sailors. New members will be liable to pay one twelfth of the annual subscription fee for each full or part month remaining between their election to membership and the end of the calendar year. Family membership is applicable to a senior couple or single parent family and one or more children living at the same address per the notes on the application form overleaf. For the purposes of family membership, children living at the same address are included up to age 21. Student discount for Juniors is not applicable for this category. The Sailing Activities and Storage fee is applicable to any boat which is lifted-out, stored or moored at the Club or is sailed regularly from the Club premises. The fee is calculated per foot/metre of boat length and includes storage of dinghies for the summer months (April to October) and Sandhoppers for the winter months (October to March the following year). The fee for multi-hulls and dinghies more than two metres wide is increased by an additional 25%. Winter storage of cruisers will be billed separately at rates agreed at the last AGM. Subscriptions and fees may be paid by installments, in which case the amounts shown will be increased by 10% to cover additional administrative costs. The total amount due will be paid by 10 equal payments from March to December inclusive, and by Standing Order. In accordance with the Rules of the Club all payments for subscriptions and fees are due no later than 1st March 2018. Subscriptions and fees not paid by 1st March will incur a 10% surcharge. Applications for membership are posted in the Clubhouse before being considered by the Committee. 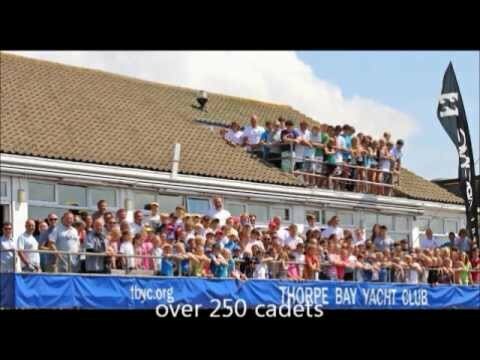 In the case of application for ‘Cadet Membership’, one parent must also be a TBYC member. There is storage for dinghies in front of the Clubhouse for which fees are payable. In addition there are a number of moorings for Sandhoppers and Cruisers (fees payable). Limited winter storage ashore is available (fees depending on size of boat). Membership forms are available from the Bar Staff which can be completed and then post back to us. If you do not know any existing members to propose your application then please note this on your application form, you application will still be considered by the committee. Fees are not due until applications to join are approved.